On 23-24 April Nino Lortkipanidze ’14 together with three other FLEX alumni implemented a leadership project ‘Lead the Way’ at the Akhmeta Municipality Town Hall in Akhmeta, Georgia. The venue for the event was provided free of charge. In total 13 high school students attended sessions on the topic of active citizenship, resume writing and project management. The participants wrote and presented their essays in which they discussed different ways to solve local issues; they also received information about the U.S. government-funded exchange programs and upcoming summer camps. After the sessions the project participants and organizers teamed up with local volunteers to clean up the area of Tskhrakara monastery complex. 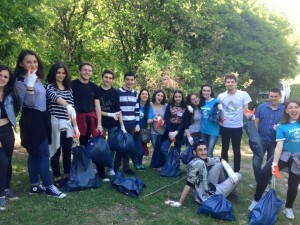 Inspired by the project, many students are now applying for international programs and summer camps and are also preparing their own community initiatives. 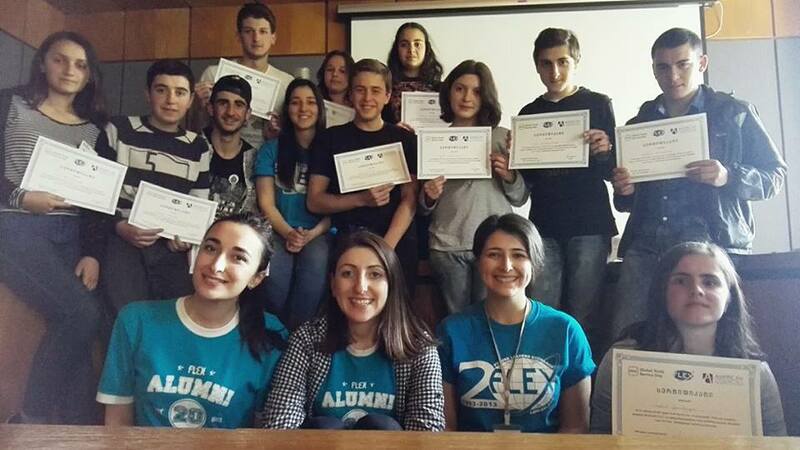 ‘The FLEX alumni are helping to turn the students’ visions into reality. One participant works on an awareness raising project about pollution in Telavi, others plan to implement minority empowerment trainings in different parts of the Kakheti region,’ says Nino.